CM: And now it (SK:the mess of the world) will be rectified from within in a holy manner by you Ones. Did you think, any of you, that your own long hard years of suffering and preparation therein was purely for your misery? Did you think that each time you achieved integration within by some lesson in your world that it counted only towards your personal evolution of soul? Did you believe when you fully came into acceptance and forgiveness of Self and another it was only for YOU? No, my most beloved Rainbow Warriors of the Light. You ones on Earth have been through very powerful initiations of and into your own Self to test your mettle. And only the strongest have survived. Those who are able to stand fully in the Light of their own Trust within which is Trust of the God within you each. And that has been for you to TRULY KNOW WHO YOU ARE. Are you getting it now, beloveds? The road/s have been tough and steep. But these have been the requirements to bring you to that place within of balance and unwavering devotion to this Master Plan for Earth and her people. As Creator Sons/Daughters bearing witness to and being involved in your own testing, this will give rise to your own greatness on your individually chosen upward ascent in the longer term. In the shorter term: You have come here to to do wondrous service to and for others and the Planet. And we congratulate you and tell you both you have all but arrived at the start/end point. With our greatest admiration and my personal gratitude to you each. In the name of the one God I come forth to share with you once more. All glory be to our Creator. It is a pleasure to again be with you all. Well, beloved ones, it seems that we have reached the place of no return - a point we wished to arrive at some time back and it is upon us once more. It is time now to polish up those shields and swords once again. It is time to take up your arms. You have all waited and prepared very long for these moments to come and the ones which follow it. There is much to be said for preparation. But that is at an end and now is the time for the climax, the action. The pitch in point must be reached that all might know what the journey has been about. At least in whichever ways they manage to interpret the disseminations of Truth. That each is to be given fair opportunity to KNOW and with that will come a response-ability that each has to Self. And then will the telling times unfold as we watch each making the choices that will take him or her further towards their evolution on the eternal path of the soul. Or making a choice that takes them further away from that goal, if only momentarily. So these are profound times, beloveds, that we are entering. And all of YOU we know feel this equally profoundly and will continue to do so as the days unfold and the energies build and more information and Truths flood your consciousness. Of course, you ones who have long been at this are way better prepared and so you have had to be. This is not to say that some amongst you will not also be receiving of certain shocks during the chaotic moments. Please do prepare for this [as best you can] . Just because you have conscious awareness of much, it is not to say no preparation is needed for what you may encounter. [SK: I get visuals of natural/herbal/homeopathic remedies, such as Rescue remedy and herbal Skeletium on hand...to help ourselves/others in dealing with the whole emotional and mental roller coaster ride we will face]. There are many, many people today on your earth who are willing and able to look at what has transpired on your world, particularly in recent years. While the 'Darkies' as you call them, have let numerous things slip (whether intentionally or not), this has created greater suspicion in the minds of many more about who and what might be running your world. So from the perspective of the extra time given, it has served as a great blessing in creating even more doubt in the minds of many one-time adherents to the mainstream media who are now seriously questioning what that is. And this is truly excellent news. For in this interim period, though you ones might see it as a great limitation of further postponements, it has served a great purpose. One of which is ultimately in helping man to challenge that which is so-called 'official' and of mainstream thinking. So this vital period just passed has not been time wasted. You could say it has been the securing of perhaps even greater open mindedness that you will see when the time comes. And we speak here not of those bound to the limitations of religions or ideologies or spiritual paths who have made a strong emotional investment in their particular chosen system. But more those who are the regular Joe and Jill Soap types who have not committed themselves to any one of these. Which will turn out to be a blessing in itself for that will be one obstruction less on the road to Truth. Yes, many from our realm are surrounding you now more than ever. And some will shortly be coming upon some of you - as in a most physical encounter. These preparations are underway for you are to work together in co-operation: those of 'Heaven' and those of Earth. Consider this a most special and privileged blessing from Creator. 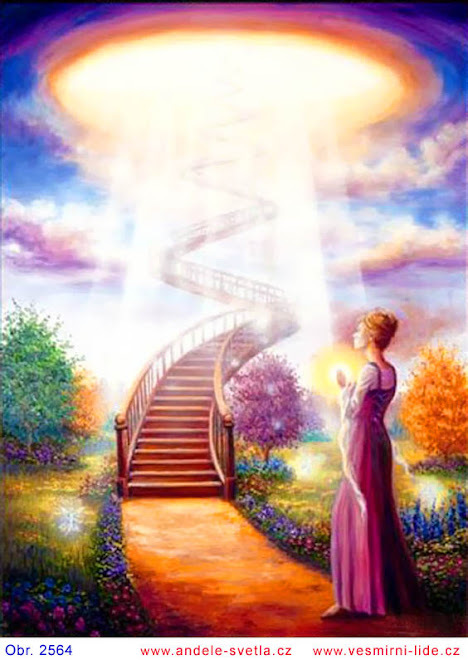 So when all is said and done, we now with you step into the action we have long been planning for with you, towards this...the culmination of the end of this cycle and the start of the new. And, as that unfolds, you Shining Ones shall take on a whole new dimension, literally and figuratively, within each of you as part of your own rewards and agreement. Each of you have chosen at this time to bring into expression your own unique gifts, providing wondrous service for the Father and CM's plan. We are so very excited to be part of this unfoldment for indeed this has been a LONG, LONG time in the works. And of course a big part of our excitement is the fact we are to be reunited with you. We look so very forward to the moment, as we know you do too. Adam's Calendar - The First Evidence of Human Consciousness? This would be an excellent and most educational way to spend two hours. In it researcher and South African author of 'Slave Species', Michael Tellinger speaks about the Annunaki, what he calls 'Adam's Calendar' and it's relationship to our current time. The very fact that so many shills and trolls were 'motivated' to comment here in attempts to discredit, confuse and distract viewers/readers from his work is all the evidence we need that says what he offers is sound and on track. And exactly that which the Zionist Talmudists and their minions in academia and the media and elsewhere DO NOT want us to know. They already know the TRUTHS of which he and others speak. And for that 'dangerous' reason in their psycophantic perceptions, they want stuff like this to continue to be kept hidden and out of reach of the masses. A 75,000 year-old stone calendar - In the cradle of humankind. A new discovery of an ancient circular monolithic stone calendar site in Mpumalanga has proven to be at least 75,000 years old, pre-dating any other structure found to date. Southern Africa holds some of the deepest mysteries in all of human history. What we are told is that at around 60,000 years ago the early humans migrated from Africa and populated the rest of the world. Who were these first humans? What did they do? And where did they disappear to? It estimated that there are well over 1,000,000 (one million) ancient stone ruins scattered throughout the mountains of southern Africa. Various tools and artefacts that have been recovered from these ruins show a long and extended period of settlement that spans well over 200,000 years. Many of these artefacts that include, coins, carvings, swords, symbols, head rests, bowls, statues and more, show that virtually every ancient culture was present here in southern Africa at some point in history. This includes the Sumerians, Egyptians, Phoenicians, Romans, Greeks, Arabs, Dogon, Dravidians, and even the Incas. The most spectacular examples of these ancient ruins lie between Machadodorp and Waterval Boven, Mpumalanga. Modern historians have been speculating about the origins of these ruins, often calling them ‘cattle kraal of little historic importance’. The truth of the matter is that closer scientific inspection shows that we actually know very little about these spectacular ancient ruins. While many have been adapted by more recent arrivals or inhabitants over the past 500 years, the original “stone circles” have no doors or entrances while most are connected by an expansive network of mysterious channels that are often misinterpreted as “roads” by some historians. Furthermore, this massive connected grid of circular ruins are immersed in a seemingly never-ending expanse of ancient agricultural terraces that surround the structures and seem to be an extension of the ruins. It is a great tragedy that countless ruins have been destroyed by human development and industry through sheer ignorance but some farmers and forestry companies have started to protect a small number of these ruin as they recognise their importance in human history. Adam’s Calendar is the flagship among these ruins. This spectacular ancient site is aligned with the N,S,E,W cardinal points of planet Earth, solstices and equinoxes. It is still accurate as a calendar by following the shadow of the setting sun, which is cast by the taller central monolith onto the flat calendar stone beside it. It has been dated with relative certainty to at least 75,000 years of age based on a number of scientific evaluations. The calendar was re-discovered by Johan Heine in 2003 and named by Michael Tellinger as Adam’s Calendar because it is possibly the oldest structure on Earth that is linked to human origins. It has however been known by African elders, indigenous knowledge keepers and Shaman as “The Birthplace of The Sun”, or “Inzalo y’Langa” where humanity was created by the gods. From a geological perspective, Adam’s Calendar presents us with undeniable geophysical evidence that our planet has undergone a crustal shift, or crustal displacement at some turbulent time in our past. This is when the north-south axis of the planet actually moves to a different position. 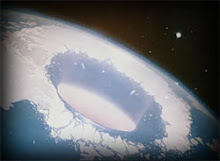 This was proposed in the work of Charles Hapgood in the 1950s, which was strongly supported by Albert Einstein, suggesting that the Earth’s crust shifts from time to time, moving the polar axis of the planet with it. Adam’s Calendar also presents the first tangible evidence of consciousness among the earliest humans in the ‘Cradle of Humankind’ while some of the tools suggest that they had a much better understanding of the laws of nature than we have today. The site is built along the same longitudinal line as Great Zimbabwe and the Great Pyramid of Giza in Egypt, suggesting a connection between those ancient civilisation and the builders of all three of these sites. The stone ruins of southern Africa present us with a very exciting missing piece of the puzzle regarding the murky origins of humankind and possibly point us in the right direction to discover the true cradle of humankind. Adam’s Calendar: This is possibly the only example of a functional, mostly in-tact monolithic stone calendar in the world. The founder of Adam’s Calendar, Johan Heine, observes as the shadow of the setting sun on the summer solstice 21 Dec. As the sun sets the shadow slides off the edge – only to resume its path back to the opposite edge where it stops on the winter solstice, 21 June.